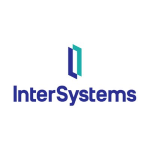 InterSystems has received authorization to offer its IRIS Data Platform software development tool in the Amazon Web Services Marketplace. IRIS’ inclusion in the AWS Marketplace enables developers to rapidly utilize the unified data platform in a cloud environment as a “Bring Your Own License” product or a free Community version, InterSystems said Tuesday. The data analytics platform lets users quicken software development functions through its multi-model architecture, built-in Apache Spark Connector big data tool, “Quick Start” modules and other Java and .NET features. Carlos Nogueira, general manager for data platforms at InterSystems, said the AWS certification marks the company’s third major marketplace authorization within the last six months. InterSystems currently offers IRIS on other cloud marketplaces such as Google Cloud and Microsoft Azure.